Enter Pirate Bay and brave a dangerous paradise in search of an ancient buried treasure. New areas, enemies, quests, and more loot await, but be prepared: the treasure is rumoured to be guarded by the largest, most vicious creature on Pandora. 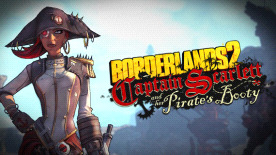 Please note: This is add-on content; Borderlands®2 required to play. This content is part of the Season Pass. If you own the Borderlands 2 Season Pass, do not purchase this content, or you will be charged again.